My husband and I participated in a bike and barge trip in June, riding bikes from Paris, France to Bruges, Belgium. It was a grand trip, biking in daytime and sleeping on the barge at night. After 13 days on the way, we finished up our trip on a rainy, very windy day approaching Bruges through Flanders fields. 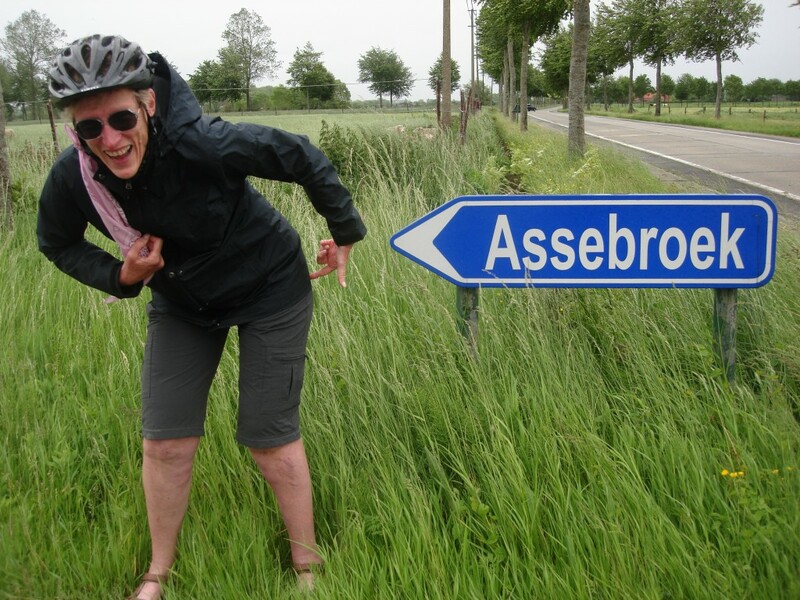 I came across this directional sign to the town of Assebroek and couldn’t resist the obvious pun. Hope you find it as funny as I did.